There is something to be said about a photo that moves you and takes you back to a feeling and a time in your life.. and my goal is to take you there. My favorite kind of photograph conjures a smile, or laughter years after it was made. A photograph encourages your memory...The ambiance, The way you felt, The true joy of the moment. It is this notion that inspires me. Every moment is worth remembering ~ my goal as a photographer is to capture special moments and preserve memories. "creating images that last a lifetime..."
With over 25 years of experience and successfully capturing over 8856 memorable weddings, Blue Glass Photography represents the apex of reliable and creative wedding photography throughout the Virgin Islands. Provides generous hospitality and highly personalized service to each client, offering custom menu development and the highest quality local ingredients available. 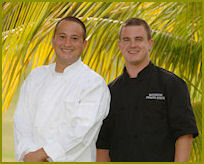 With over 20 years of experience, proficiency in all styles of cuisine, and a sterling reputation. A one-of-a kind dining experience for the same cost as going out to eat. 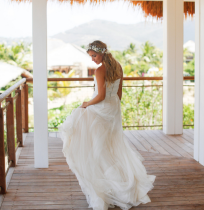 Considering an island wedding? 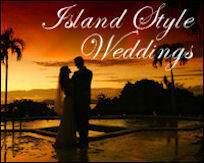 Mary Castle Bartolucci of Island Style Weddings can assist you with a romantic ceremony for just the two of you. 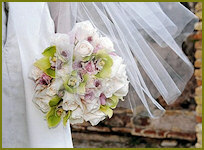 Or if you are bringing all of your friends and family complete destination wedding planning services are available. 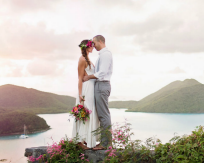 St John Weddings with Anne Marie Porter, St. John's Barefoot Minister, are an inexpensive, meaningful way to have a destination wedding in the United States Virgin Islands. Michelle's approach is simple. You have a vision for your wedding or special event and it is her job to do everything in her power to help realize that vision. Tropical Caribbean flowers delight your senses and add Exotic Embellishment to your Gala Affairs and Special Occasions. All from Passion Flower! The Tap Room is our island microbrewery and bar located in Cruz Bay. We are the only craft beer draft bar on St. John or St. Thomas and have the largest selection of microbrewed beers in the Caribbean. 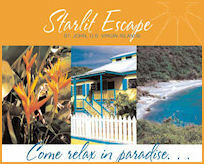 Starlit Escape is a private rental villa with a pool and an ocean view on breathtaking St. John.